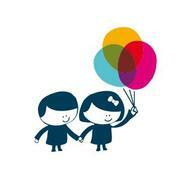 Thousands of children in Ireland are sick and need the best medical care available. At our core is the belief that every sick child deserves every chance. We want little patients to have the best possible outcomes through access to world class research, equipment and treatments when they become ill. We can only do this with your help. CMRF Crumlin is the fundraising arm of Our Lady's Children's Hospital Crumlin and The National Children's Research Centre, and we provide the best for our patients and families. But we can only do this with your help.